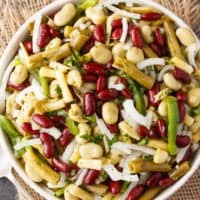 Bean Salad is packed full of yummy fibre. 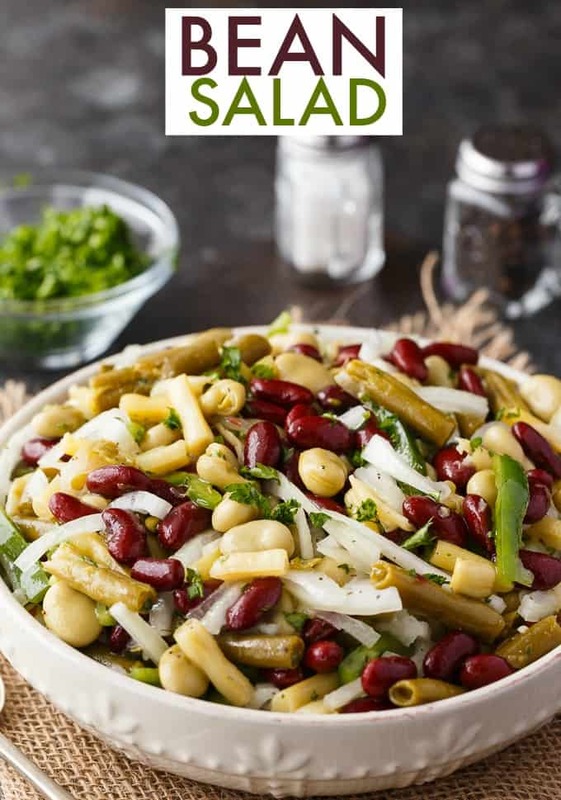 This easy salad recipe is loaded with beans and a flavorful dressing. Make it for a yummy side dish or to serve at a potluck this holiday season. Either way, it will be gobbled up in a flash! Bean Salad. You either love it or hate it. I happen to love it if it’s made right. 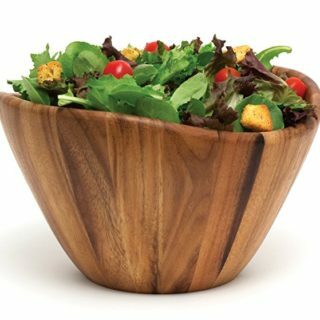 This simple salad recipe is made exactly how I love to eat it. It gets bonus points for being on the healthy side, too. Beans are full of fibre which offers so many important health benefits. 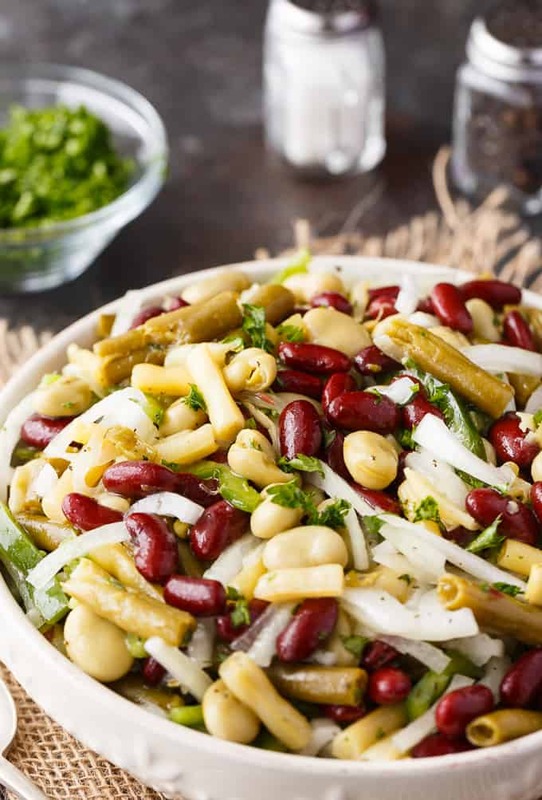 This Bean Salad contains four varieties of beans: red kidney beans, wax beans, green beans and broad beans. You could substitute lima beans for the broad beans if you can’t find them at the grocery store. Another name for broad beans is fava beans. I keep thinking of the movie, Silence of the Lambs, when I think of fava beans…. The dressing is a mixture of white vinegar, vegetable oil, a little bit of sugar and some seasonings like dried basil and dried mustard. My mom came over when I was making this recipe and asked to take a container home. She is a huge fan of Bean Salad and said mine was delicious. Thanks, Mom! 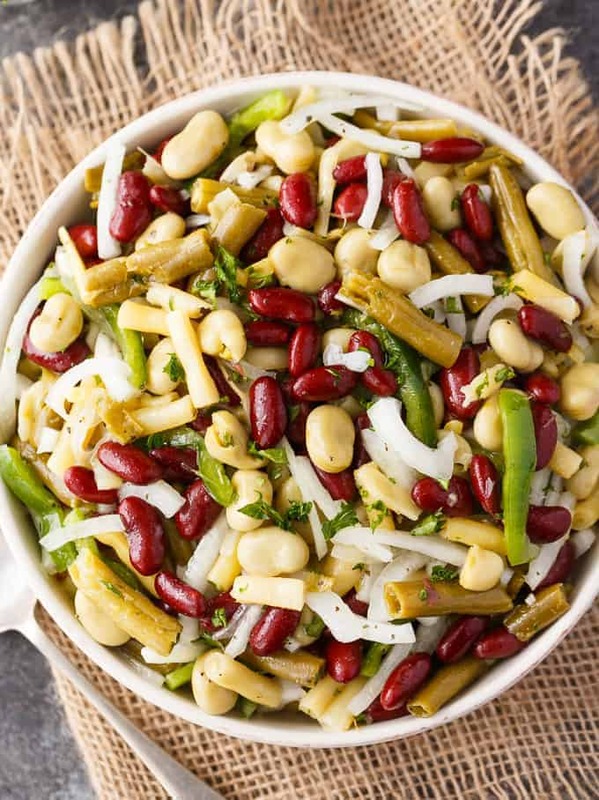 Grab a big salad bowl and add the green beans, kidney beans, wax beans, broad beans, onions and green peppers. I rinsed off the kidney beans before adding them to the bowl. 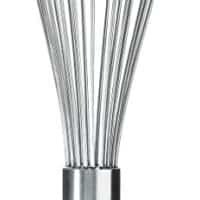 In another bowl, whisk the sugar, white vinegar, pepper, basil, vegetable oil, salt, dried mustard and parsley. Pour the dressing over the salad and toss to combine. Cover the salad and put in the fridge to marinate for a few hours before serving. Refrigerate any uneaten portions. I’m making this Bean Salad to serve at our holiday gatherings. My mom already requested I bring it. She usually asks me to make something for Christmas dinner and I think this is the perfect recipe! I know the rest of my family will love it, too. Here are more bean recipes to try. Bean Casserole: A fiber packed meal your family will love! It’s tasty, hearty and filling. Green Bean Casserole: Comfort food supreme! This homemade side dish is creamy and delicious. No canned soup! Southwestern Turkey 5 Bean Chili: If you’re looking for that perfectly healthy powerhouse soup, this is it! Quick White Bean & Turkey Chili: This Instant Pot chili is easy to make and so delicious! Slow Cooker Black Beans: Black beans are so versatile. You can serve them with rice, as a dip for chips or as a side dish to any meal! And these Black Beans are fool proof because the slow cooker does all the work. 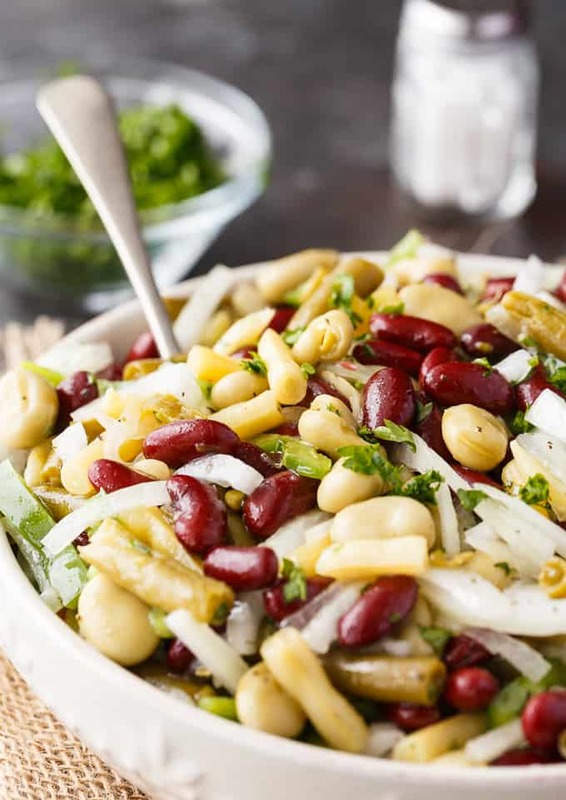 Are you a fan of Bean Salad? Packed full of yummy fibre. 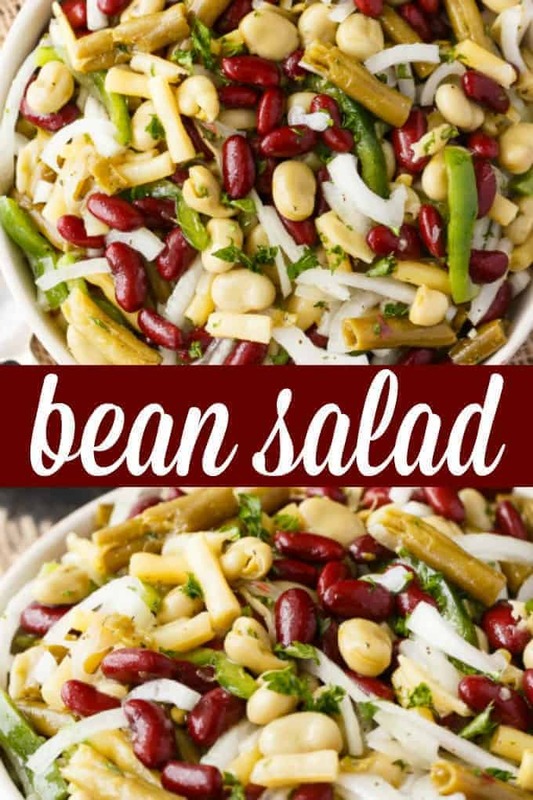 This easy salad recipe is loaded with beans and a flavorful dressing. 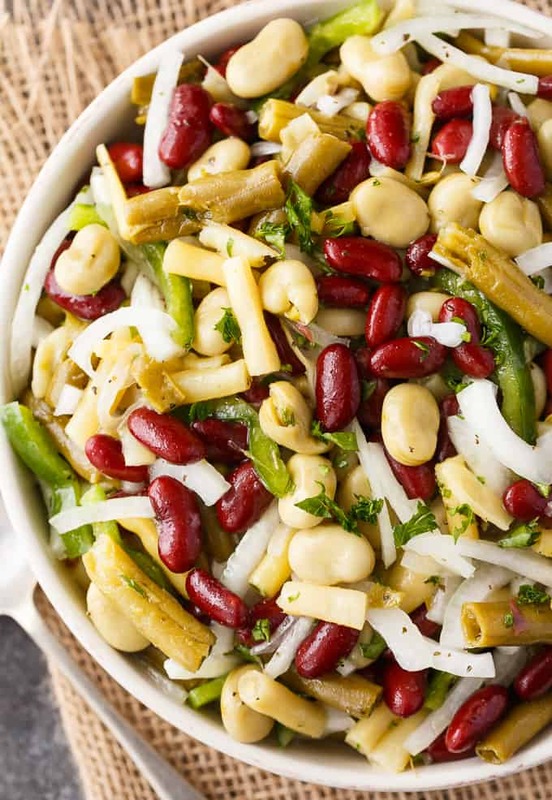 Add green beans, kidney beans, wax beans, broad beans, onions and green pepper to a large bowl. Stir to combine. 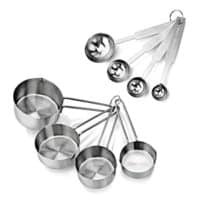 In a small bowl, whisk together sugar, white vinegar, pepper, basil, vegetable oil, salt, dried mustard and parsley. Pour over salad and toss to combine. Let marinate a few hours before serving. My mom used to make this salad! It bring back a lot of memories! This was one of my mother’s favorite dishes. My oldest sister still makes it, and me and my 2 sisters love it, but not too many of the rest of the family members do. Thank you for sharing it. It looks sooo good! Found you at Tasty Tuesdays. I was looking for another side for our Christmas party and this would be great!…thank you for sharing. It has been a while since I had a bean salad, this looks so good! Hope you are enjoying your week and thanks so much for sharing with us at Full Plate Thursday!